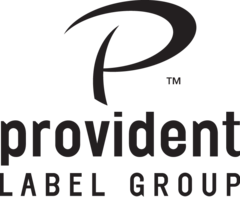 Nashville, TN (December 9, 2013) – Provident Label Group celebrates the GRAMMY® nominations for their label group artists as announced on Friday. The company received a total of five nods in the categories of Best Gospel/Contemporary Christian Music Performance, Best Contemporary Christian Music Song and Best Contemporary Christian Music Album. The 56th Annual GRAMMY® Awards will broadcast live from the STAPLES Center in Los Angeles on Sunday, Jan. 26, 2014, on CBS at 8 p.m. ET/PT. Songwriter and recording artist Matt Maher leads the pack of nominations, receiving his third and fourth GRAMMY® nominations for Best Gospel/Contemporary Christian Music Performance (“Lord, I Need You”) and Best Contemporary Christian Music Album (All The People Said Amen [Live]), his first compilation record and seventh overall album. The critically acclaimed record was released on Essential Records and debuted in the Top 5 on the Billboard Christian Albums Chart. An unexpected highlight, Maher was invited to perform the powerful song, "Lord, I Need You" at a prayer vigil, led by Pope Francis, in front of 3 million people earlier this year at "World Youth Day 2013" in Rio de Janeiro, Brazil. For more information on Matt Maher, please visit: www.mattmahermusic.com. Five-time GRAMMY® winner and highly acclaimed singer-songwriter Steven Curtis Chapman picked up this 17th nomination for Best Contemporary Christian Music Song for his lead single “Love Take Me Over.” The track, which was written solely by Chapman, continues to rise on the charts, already reaching No. 2 on the Christian AC Indicator chart. Broadcasting to an audience of nearly 8 million, the song garnered 43 radio adds in its first week, one of the biggest debuts in Christian radio this year. The single is off his latest record, The Glorious Unfolding his first studio album in over seven years. For more information on Steven Curtis Chapman, please visit www.stevencurtischapman.com. Garnering their first ever GRAMMY® nomination is the chart-topping band Building 429. The band receives a nod in Best Contemporary Christian Music Album for their record, We Won’t Be Shaken. The release, which includes their chart-topping title track, debuted at No. 1 on the Billboard Christian Albums Chart and Top 50 on the Billboard Top 200 Albums Chart. Building 429 is comprised of Jason Roy (vocals), Jesse Garcia (guitar), Michael Anderson (drums) and Aaron Branch (bass). We Won’t Be Shaken marks the band’s sixth studio project and follows the Dove Award winning band’s 2012 Billboard Christian Song of the Year, “Where I Belong,” which set precedent as the first song to maintain No. 1 chart status on the Billboard National Christian Audience chart for 15 consecutive weeks. For more information on Building 429, please visit www.Building429.com. Provident Label Group adds to their exciting artist nods with a nomination for Sony/ATV/Essential Music Publishing writer Matt Bronleewe. Bronleewe, who is a multi-GRAMMY® nominee, receives recognition this year for Natalie Grant’s “Hurricane” which he wrote along with Grant and Cindy Morgan. The song is up for an award in the category of Best Contemporary Christian Music Song. Provident Music Group, a division of Sony Music, whose labels include Essential Records, Reunion Records, Essential Worship and Beach Street Records, is home to an esteemed artist roster which includes Casting Crowns (new album Thrive releases January 28, 2014), Third Day (Miracle), Tenth Avenue North (The Struggle), Red (Release the Panic), Brandon Heath (Christmas Is Here), and Royal Tailor (Royal Tailor) among others. PMG also consists of Provident Films ("Courageous," "Fireproof," "October Baby"), Provident Distribution, Essential Music Publishing and Essential Artist Services.